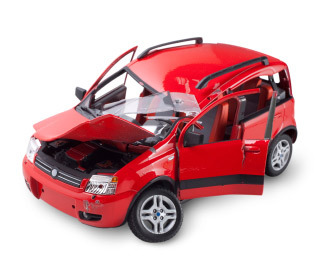 If you are looking to sell your junk car in Philadelphia, Philly Cash For Cars can help. The first thing you need to do is write down the make, model, and age of your vehicle and then give us a call. Once you give us all of the details, one of our drivers will arrive with a tow truck, examine your vehicle, pay you the money, and then be on their way. Yes, it is really that easy! If you are asking yourself, “What can I do to get rid of my junk car,” and are located near or around the city of Philadelphia, Philly Cash For Cars offers competitive pricing and prompt towing services. In business for over a decade, our family-owned and operated company is reliable and known for offering some of the best rates in the Philadelphia area. We established our reputation by following a strict code of ethics and by having an intense focus on maintaining customer satisfaction. In all, we pride ourselves on offering our Philadelphia customers a quick and efficient way to remove their junk car in as little as 24 hours. “I want to sell my junk car, but will anyone take it?” If that’s what you have been wondering, we encourage you to call us immediately. By telling us the current condition of your car, we will be able to tell you whether we can take it—and most of the time we can—because when it comes to junk cars, we can certainly make a profit! In fact, every vehicle is still worth something in the end—even if it’s only $5! “My car is old, who would want it?” Philly Cash For Cars, that’s who! We have been offering cash for junk cars in Philadelphia for years, and we have seen it as a lucrative business. Plus, while you might view your vehicle as old, there are in fact many parts that are in fact reusable, one being the catalytic converter. So, if you find yourself saying, “Please someone take my old car!” call Philly Cash For Cars today!